I don’t remember the last time I bought new golf balls. I’ve written about the topic several times over the years because golf can be an expensive sport. Losing balls on the course can add up really fast if you’re paying retail, especially for the best balls on the market. I’ve played plenty of rounds where I lost 5 or more Titleist Pro V1s, which go for about $4/ball new if you buy a dozen. My supply was running low, so this time around I decided to try some refinished balls from Foundgolfballs.com. 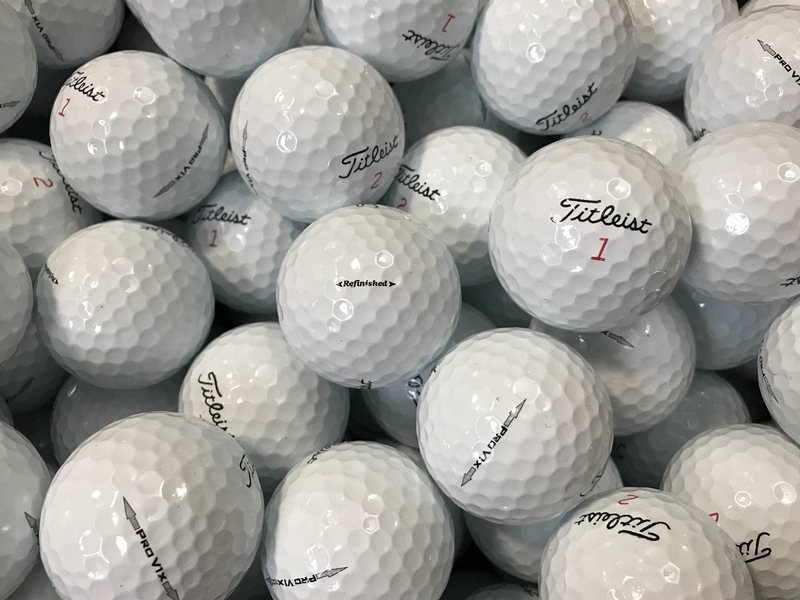 After a 20% off special (which most of these golf ball places seem to constantly run), I picked up 10 dozen Titleist Pro V1x 2014 Mint Factory Refinished No Logos Golf Balls for $144.80 plus free shipping. That’s less that $1.21 per ball for a 70% savings over new balls. Are you looking for a golf ball that looks and plays just like new, but at half the price of new? With Mint quality refinished golf balls from Foundgolfballs.com, you get a ball with no player or pen marks or other cosmetic damage, no corporate or sports team logos and balls, which play almost like new. Our extensive testing has proven that new balls and factory refinished mint balls have less than 1 yard difference. The stamping on these isn’t perfect but nobody would ever look close enough to notice unless I said something.